Society's desire to claim back control over our social media. Content created by the People ... for the People and anyone can do it. It's fun, affordable to collaborate in creating positive entertaining content. Create new employment opportunities utilizing Innovative Digital Technologies. Build Stronger Local Economies with more ethical business-audience relationships. Your data is not for sale. Being secure is pretty simple. My USH will never sell your information to third-party marketers, we protect your account with enterprise-grade security, and we let you control the privacy of your Channels and content. In addition, we do not operate algorithms to control data to influence audiences and users. With many other platforms, your online data is being hoovered from your connected devices every day. This information has been used to influence our political views for money and regulators around the world have started paying attention. Cambridge Analytica called it psychosocial profiling and it's put major Social Media platforms and the business of big data in the spotlight. For decades society has let social media define how we get our information. It was driven by computer scientists without really looking at the broader ethical and social implications. The My USH Platform has been designed to give users control over their media and presents a more equitable digital landscape for society to navigate. People like to watch themselves, people they know or content they have a vested interest in discovering the outcome. 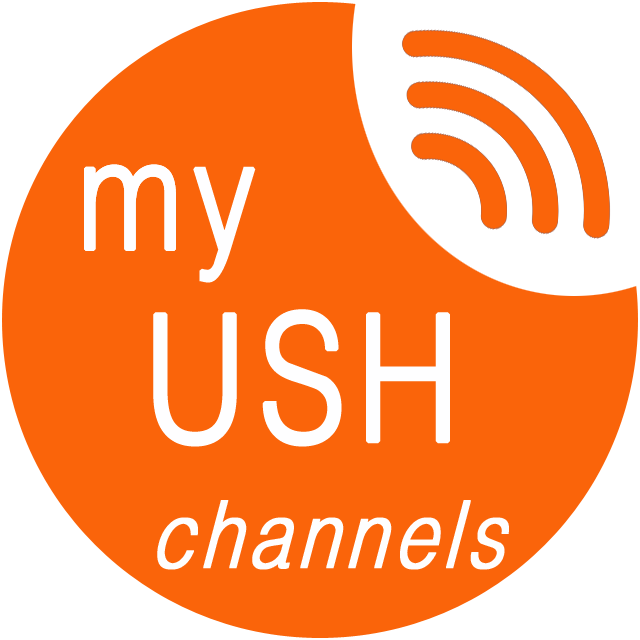 Your My USH Channel allows your people to get creative together and produce fun content that your audience will enjoy and continue to watch. Content producers can use My USH Social, a vital part of the all-in-one platform; as a positive feedback loop tool to receive requests etc, to help your channel be a source of information and entertainment for your followers. Community groups and sporting clubs can gain additional sponsorship by creating regular content for their members/audience and choose to place their own sponsors advertising on their channel instead of random business ads who have not directly assists the groups. A core value of the My USH Platform is to create employment and income opportunities for individuals and groups and help grow local and national economies. It has been reported that over the coming decade Enterprise will export $trillions (not $billions) ... $trillions of dollars to just a couple of digital platforms. This money will be siphoned out of local sports clubs, community groups, local and national businesses, etc and not only leave the city's and state's in which the content was created but leave the country of origin as well and never return. This is a major global problem !! The My USH platform addresses this issue and creates an environment of equitable opportunity that supports local economies. We believe it vitally important that innovation MUST include diverse pathways of employment and financial gain for people and groups to monetize their digital media content better.